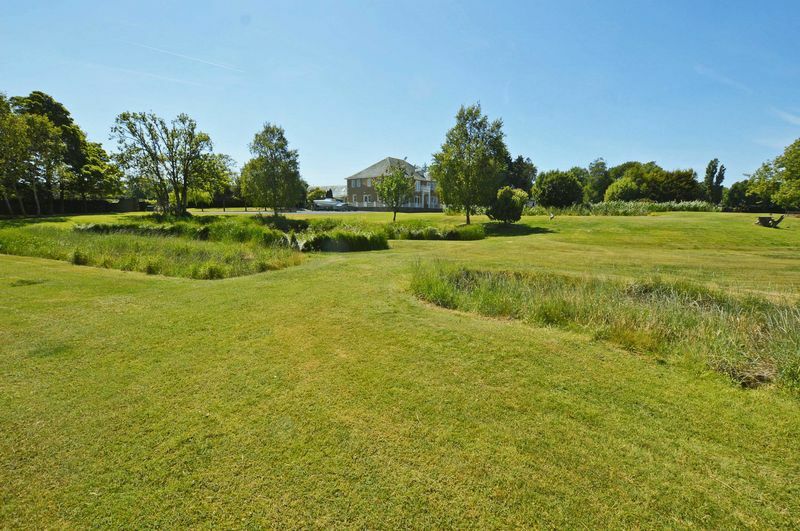 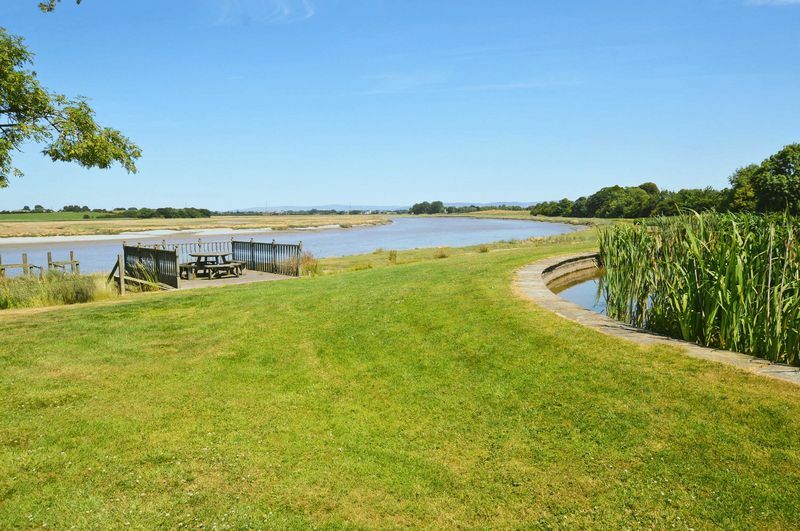 Riverside is an exceptional and generously proportioned home, set in a quiet and exclusive yet accessible position on the Fylde coast enjoying riverside views and across to the Bowland Fells. 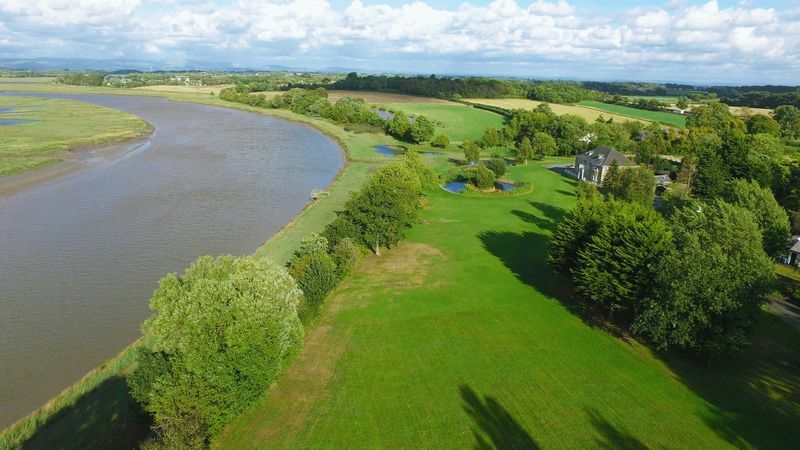 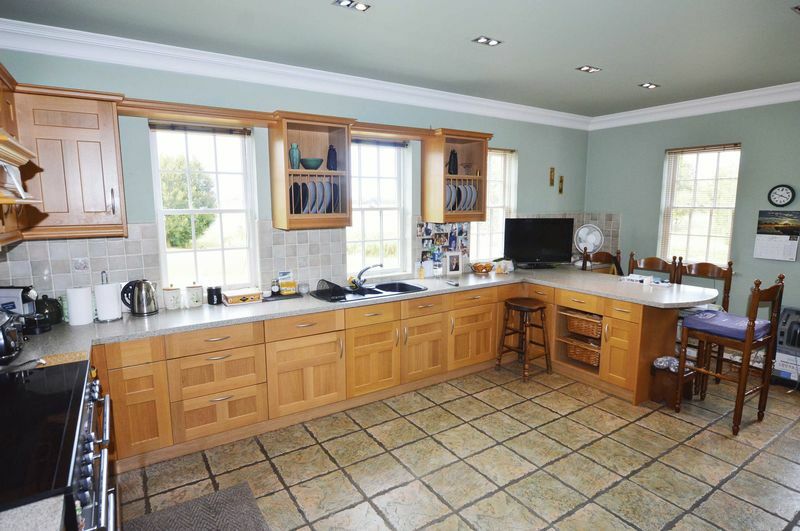 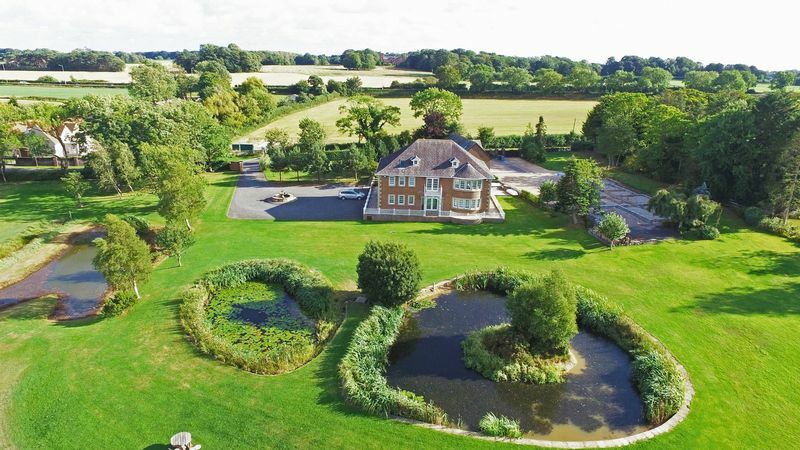 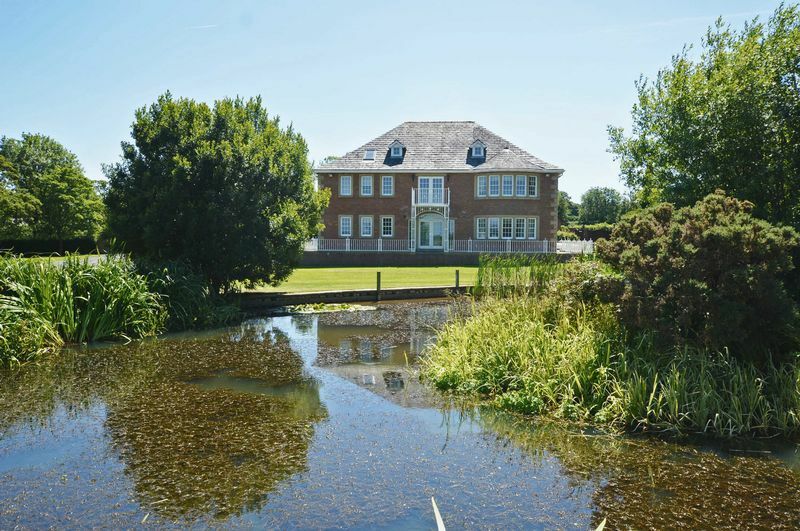 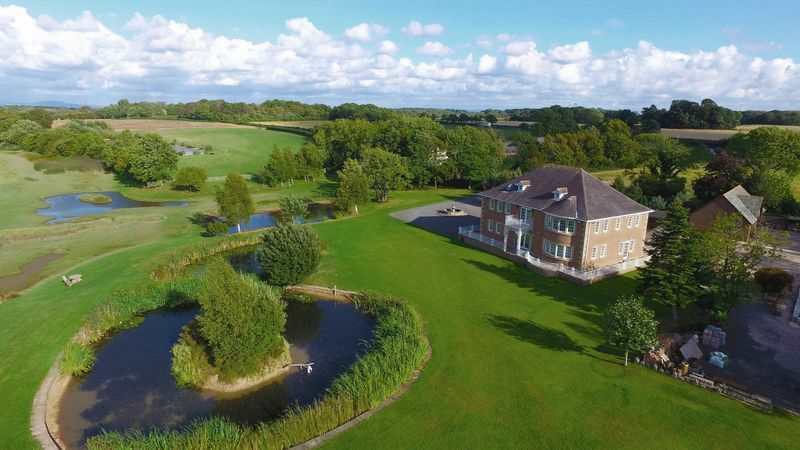 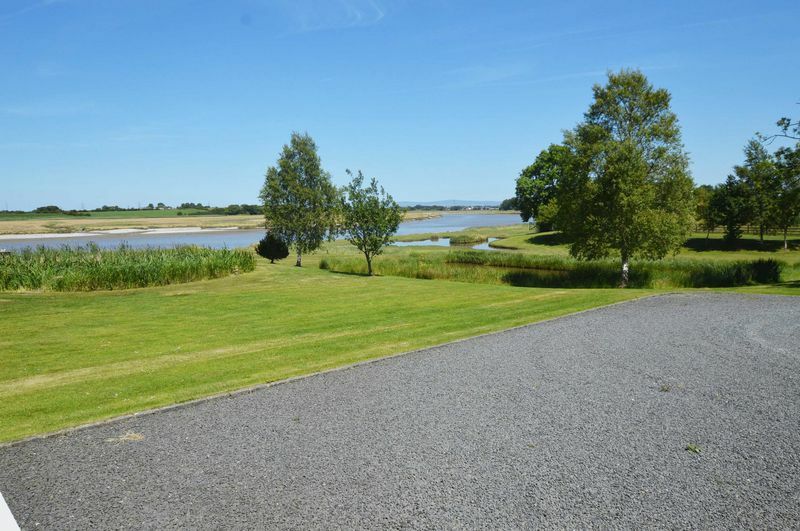 In brief and included with the sale; Riverside, a large modern construction residence set within approximately 4 acres of formal gardens and lawns – triple car garage with additional tractor store and mezzanine – ownership of river frontage with jetty – fishing rights – surrounding wildlife ponds – building plot with full planning permission – just under 10 acres of grazing land adjacent. 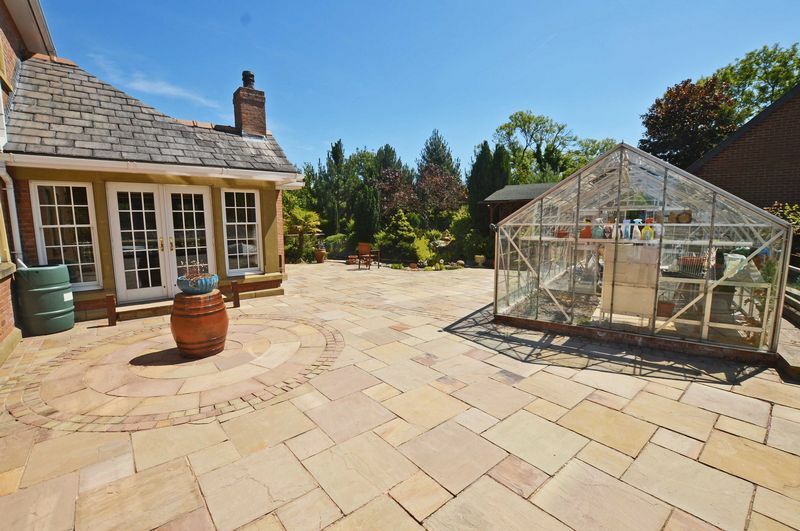 LOCATION: A unique and sought-after location at Singleton close to Poulton town centre and nearby facilities. 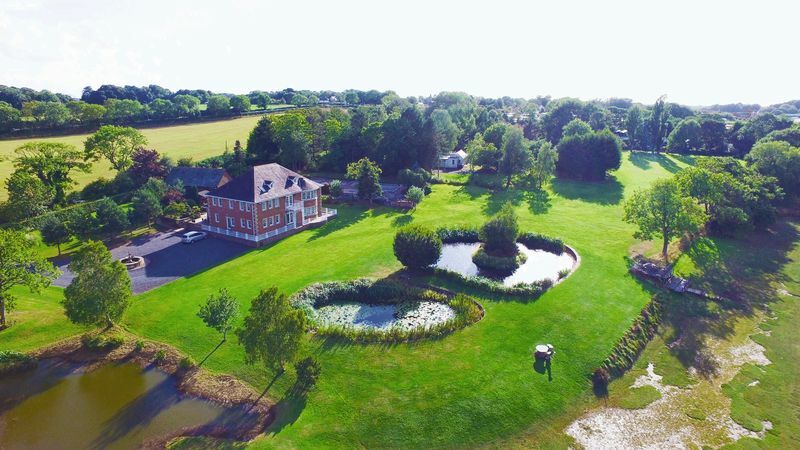 Within easy driving distance to nearby public and private Schools including Kirkham Grammar and Rossall and Baines High School achieving top A level results. 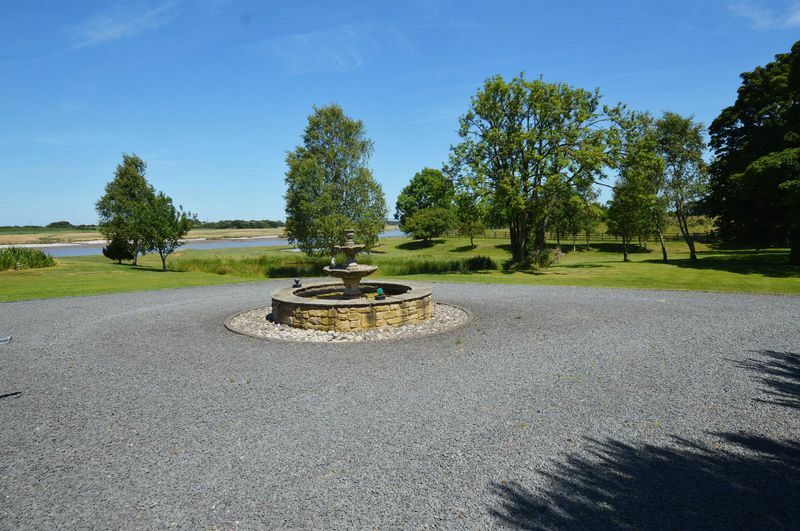 Transport service routes are within easy reach including the M55 and nearby towns such as Kirkham, Lytham and Lancaster are easily accessible. 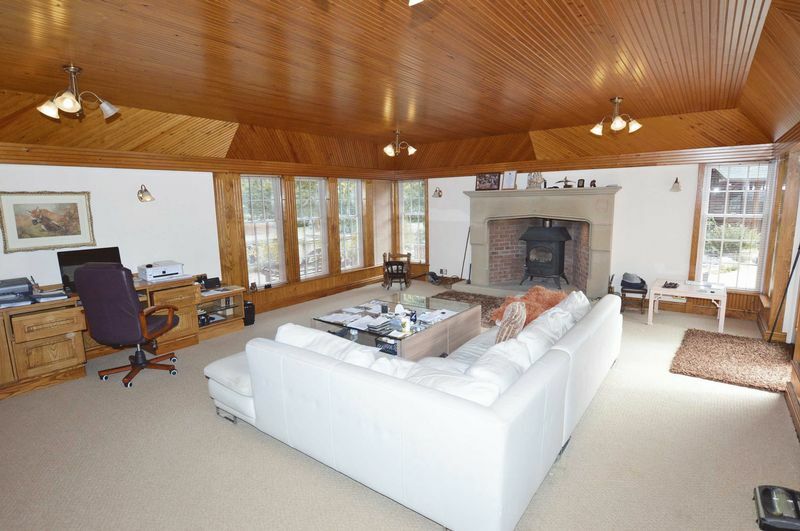 STYLE: Built in early 2000 with a Georgian Vernacular style, timber construction with brick finish under a slate roof. 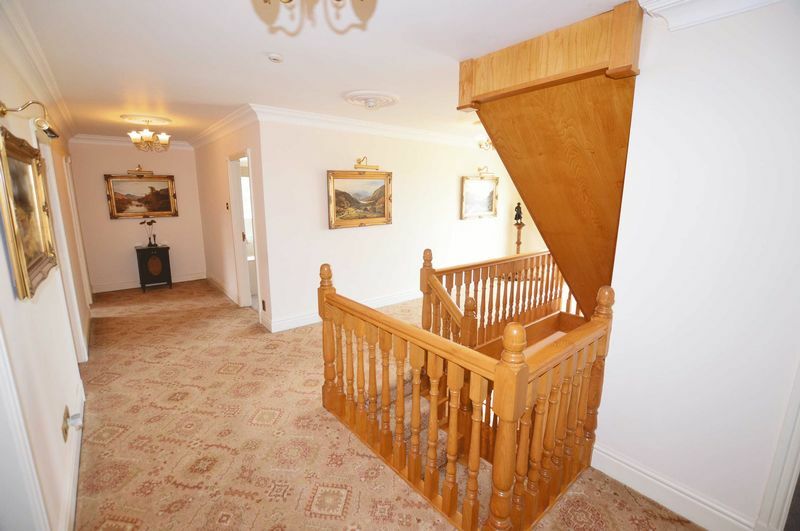 ACCOMMODATION: Entrance vestibule and large hallway, front reception room with bow window, rear sitting room with feature vaulted ceiling and wood burning fire with surround, rear formal dining room and large breakfast kitchen. 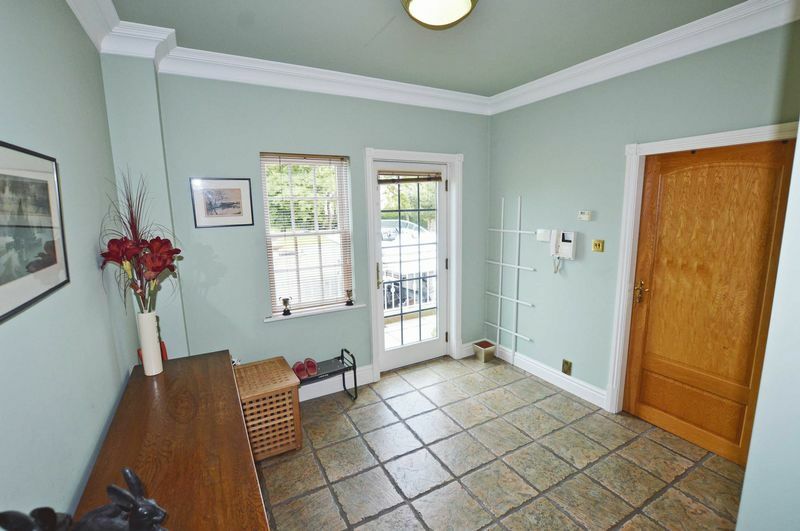 Side entrance hall with storage room and laundry / utility room. 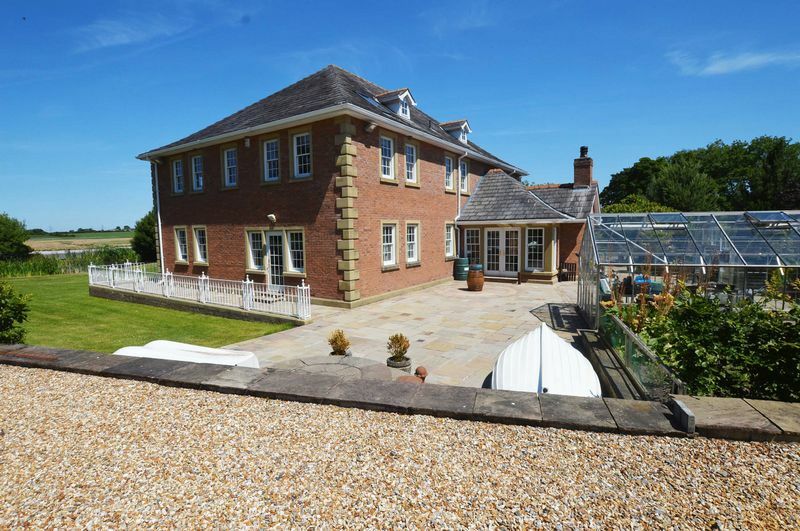 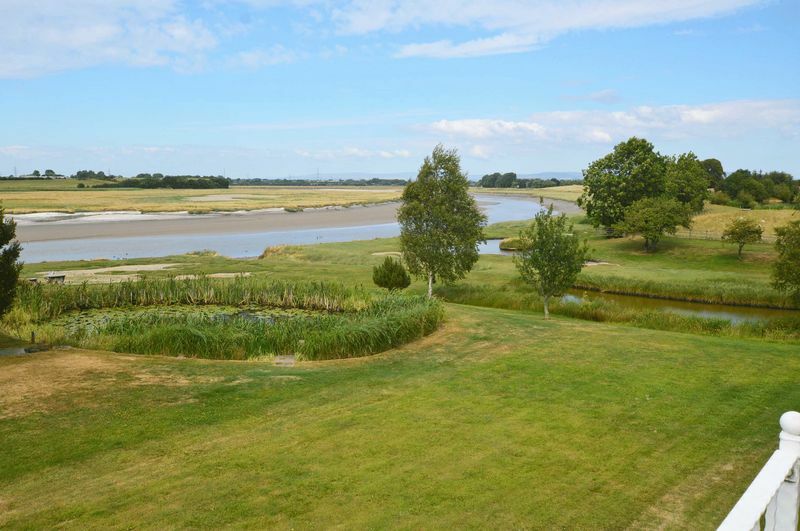 First Floor; large, light and airy landing area with French doors leading out to a balcony enjoying panoramic views across the estuary, countryside and towards the fells. 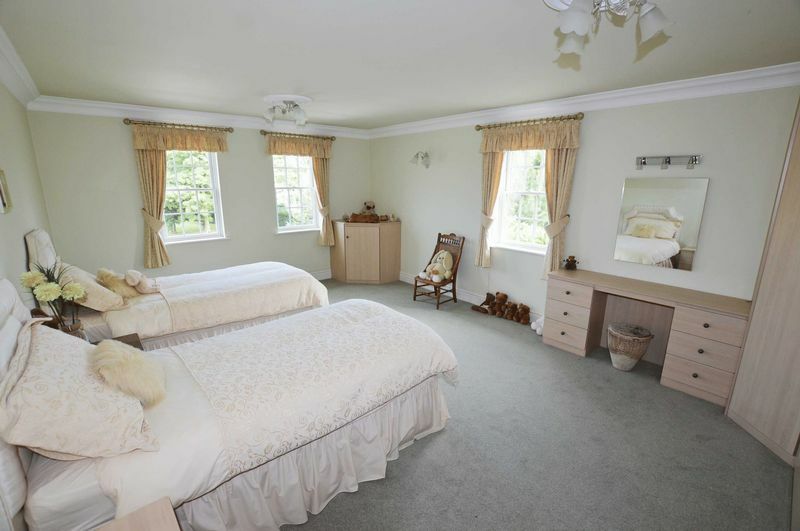 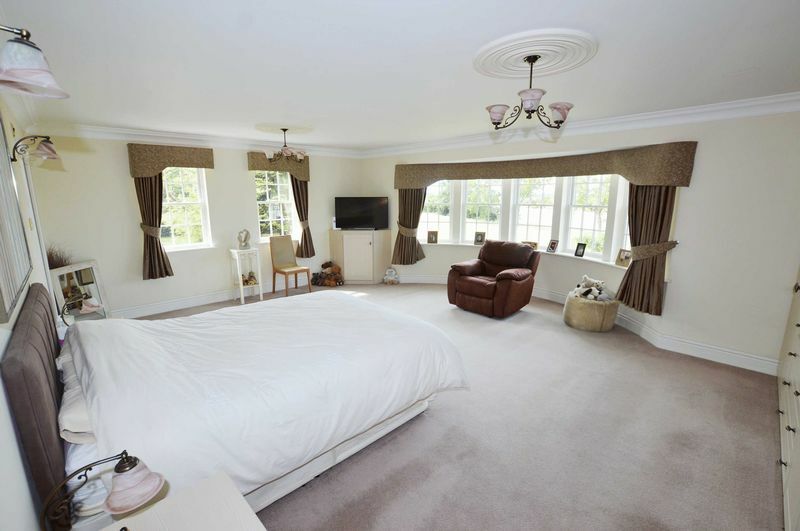 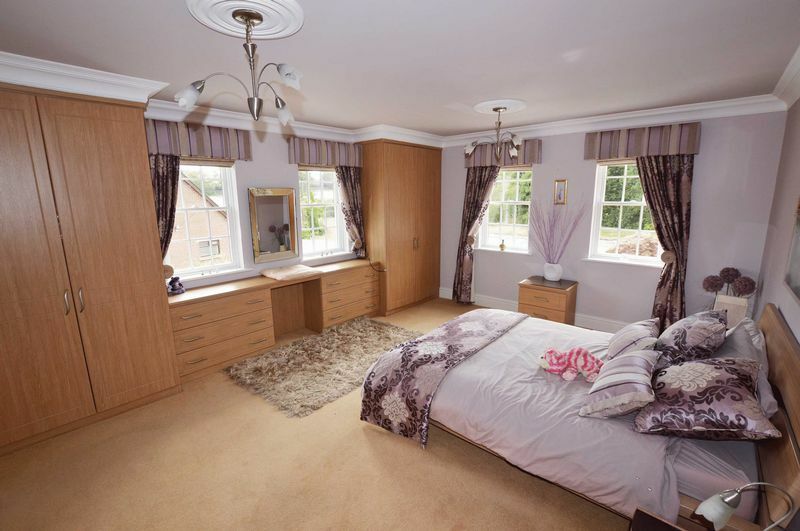 Master bedroom with bow window and en suite shower room, two further double bedrooms with en suite facilities and fourth double bedroom. 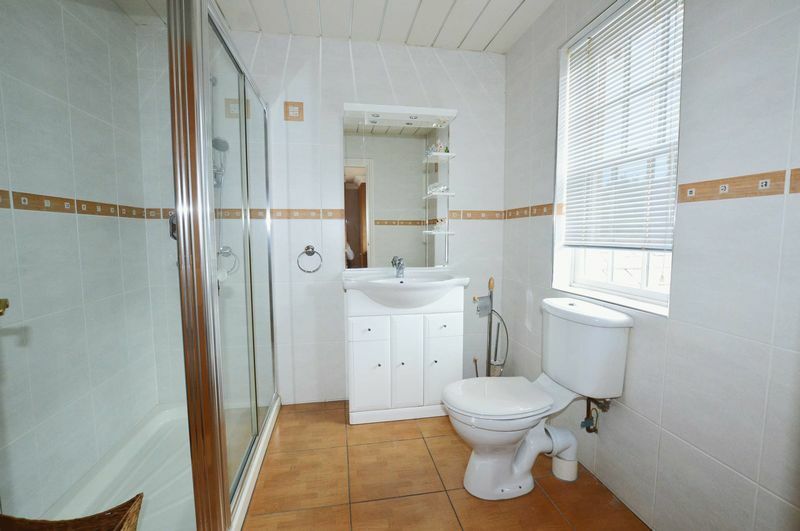 Bathroom W.C. Second Floor; large open space (approx. 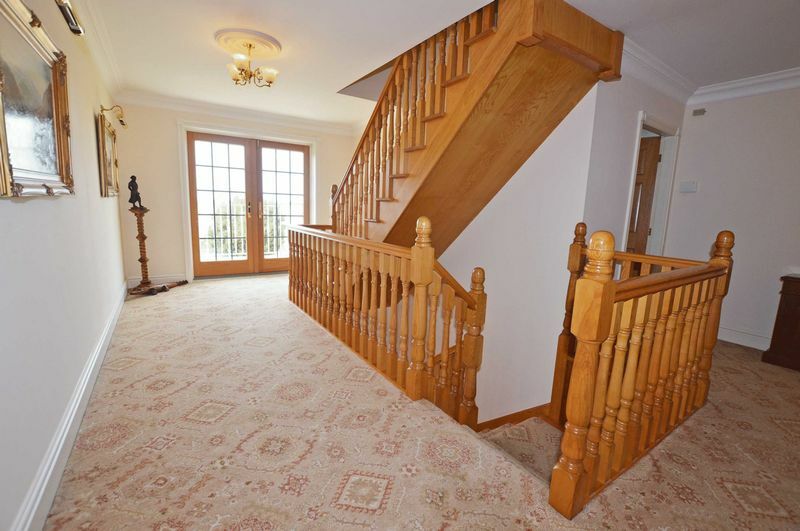 36’ x 16’) ideal for conversion to provide further bedrooms / cinema room / gym. 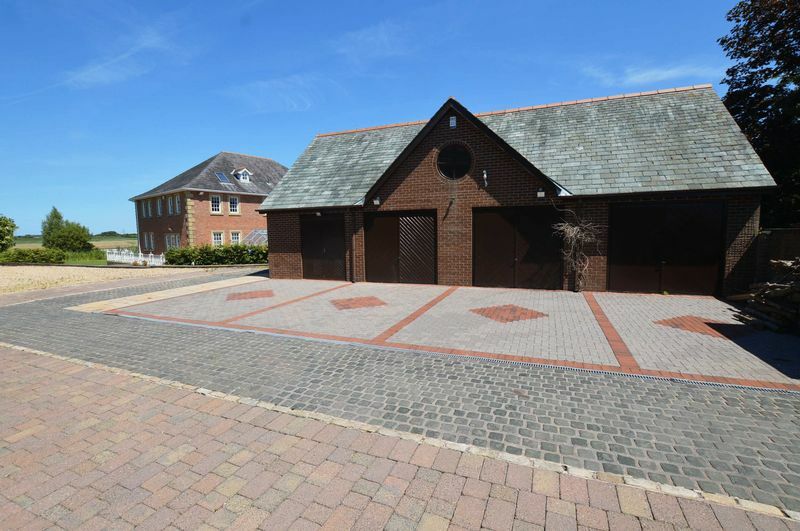 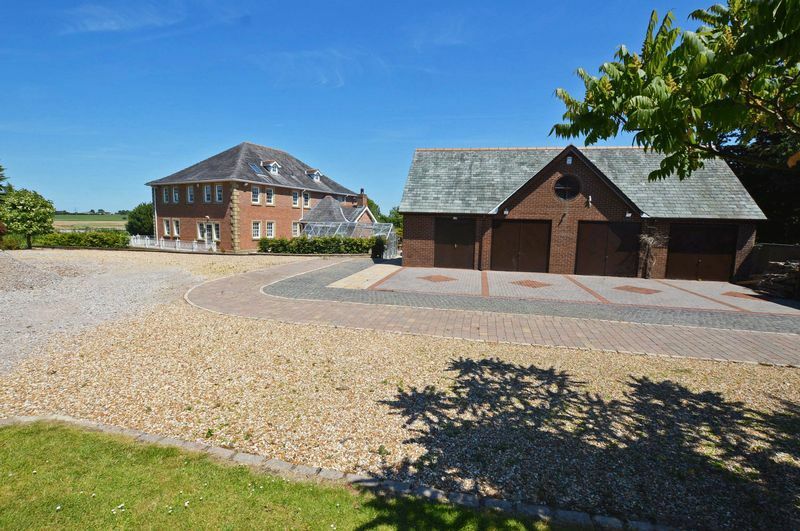 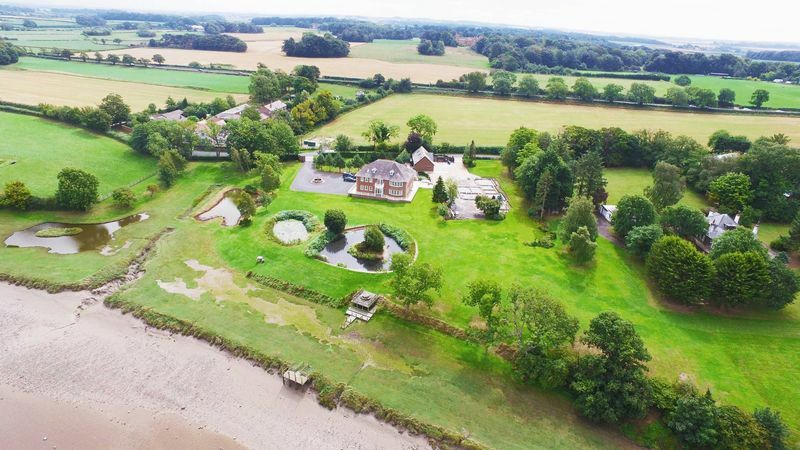 OUTSIDE: The property is approached by two sets of electronic gates, the primary opening to a large formal driveway with central water feature and 360 turning area, the second entrance provides access to the triple car garage. 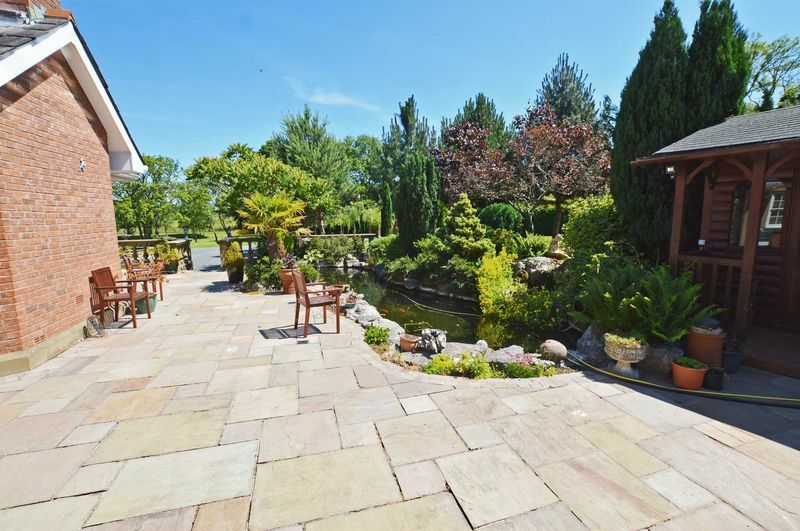 The formal, surrounding gardens are landscaped and maintained offering a wide variety of lawns, ponds, planted shrubs and ornamental Koi pond adjacent to the property. 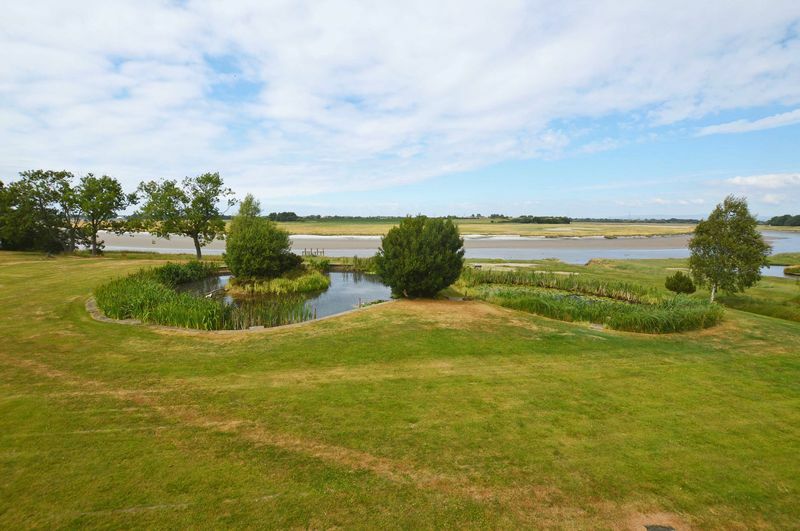 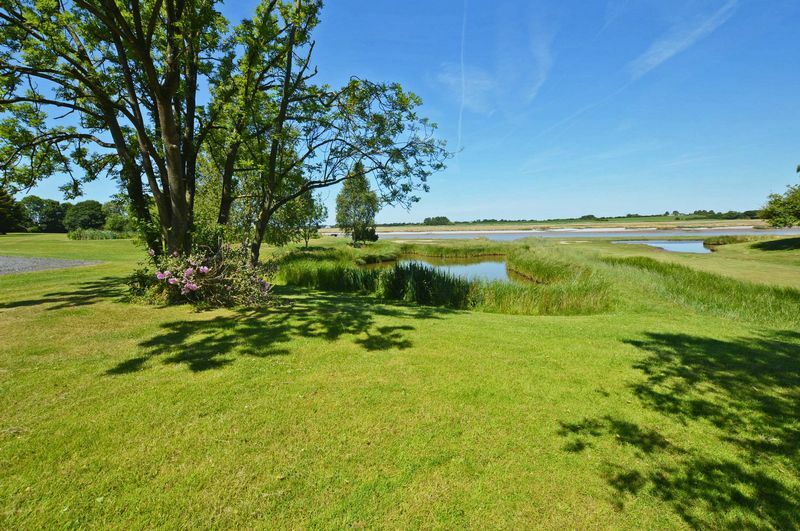 The gardens lead down to the estuary where there are seating areas and a jetty. 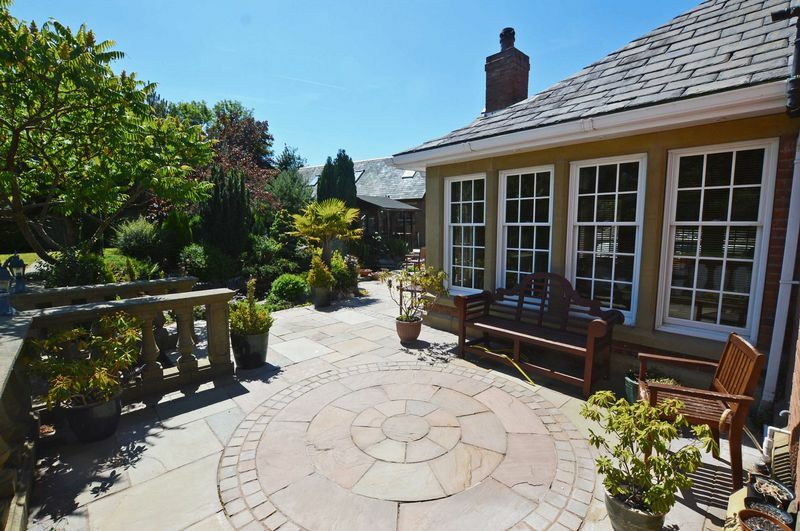 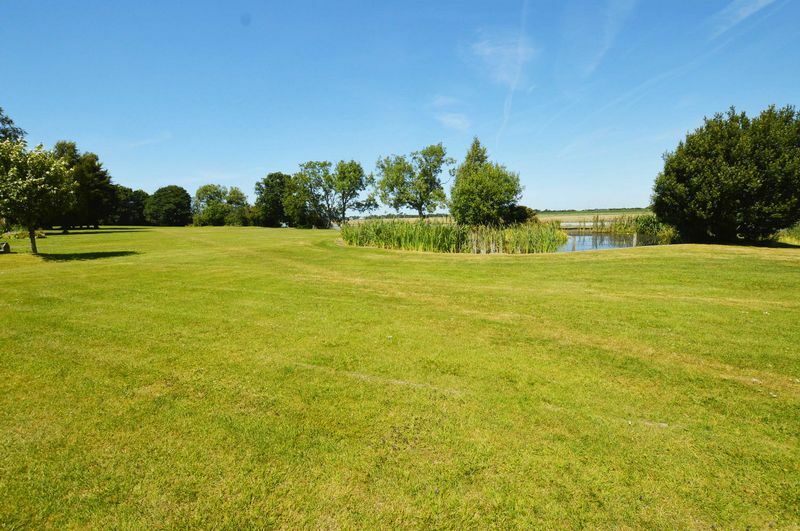 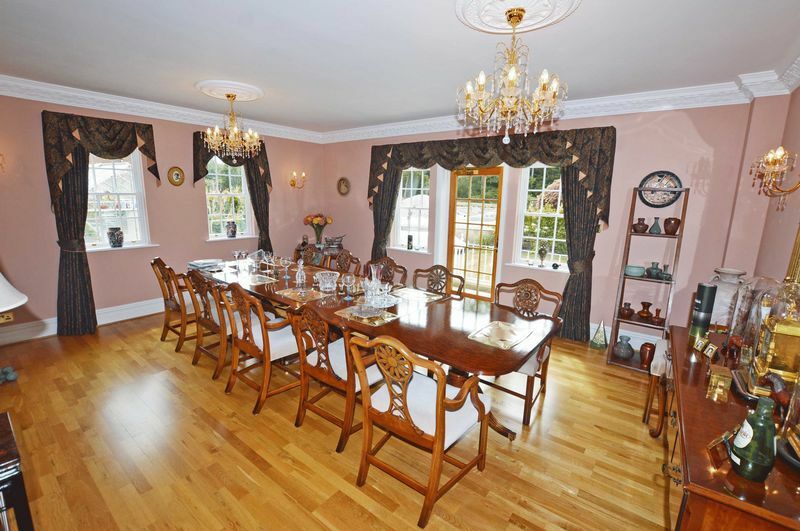 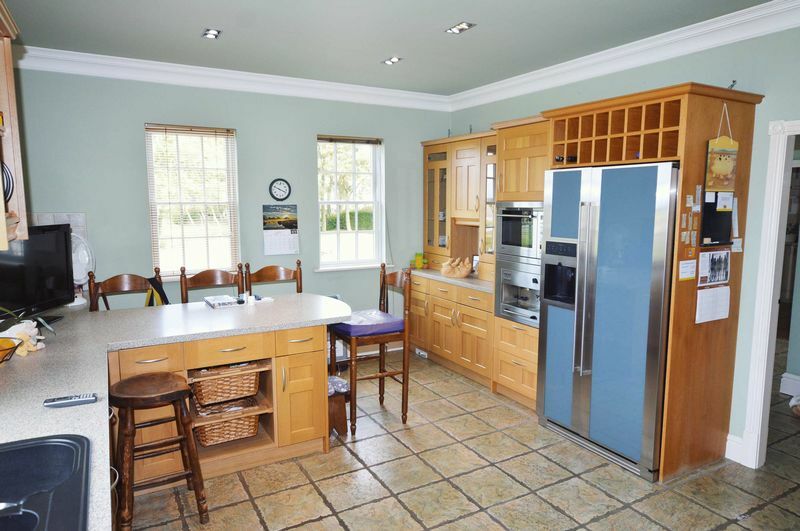 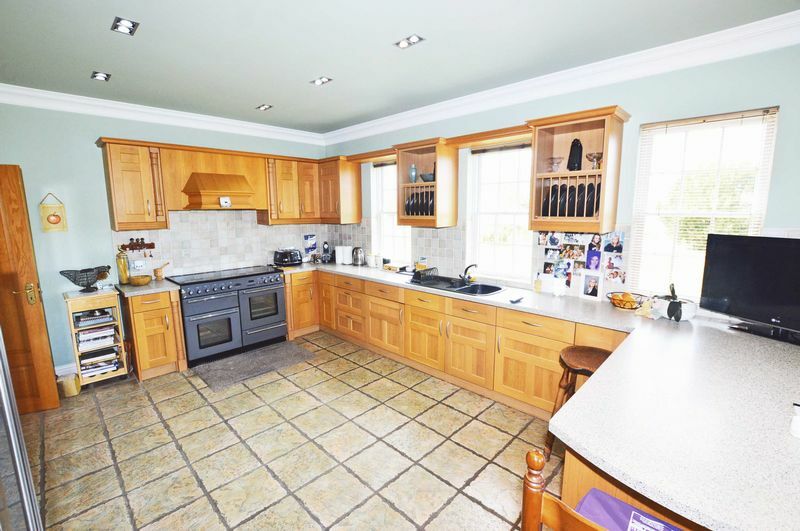 Adjacent to the formal gardens and included in the sale are approx. 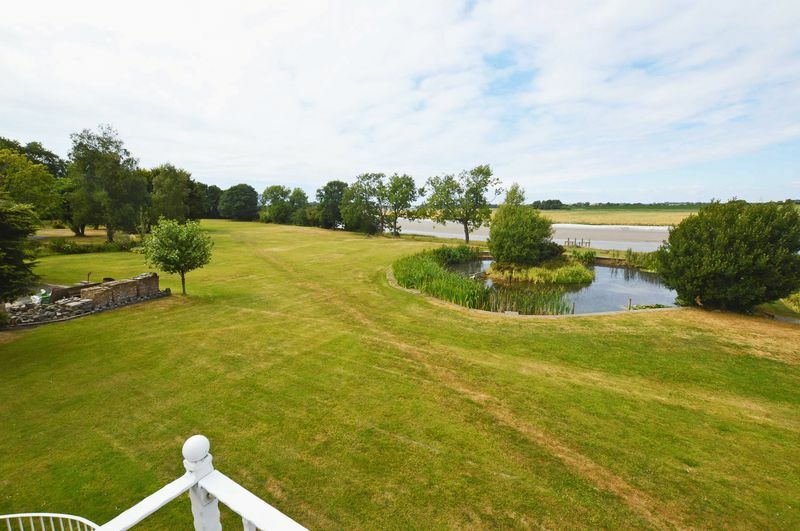 10 acres of grazing land. 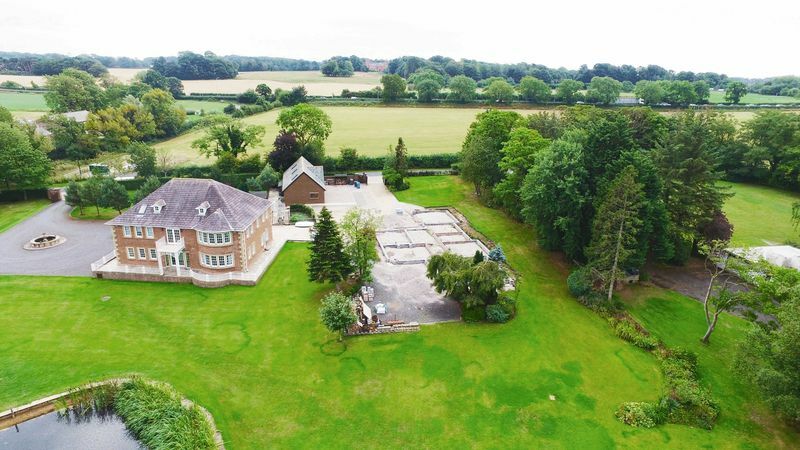 BUILDING PLOT: Application No. 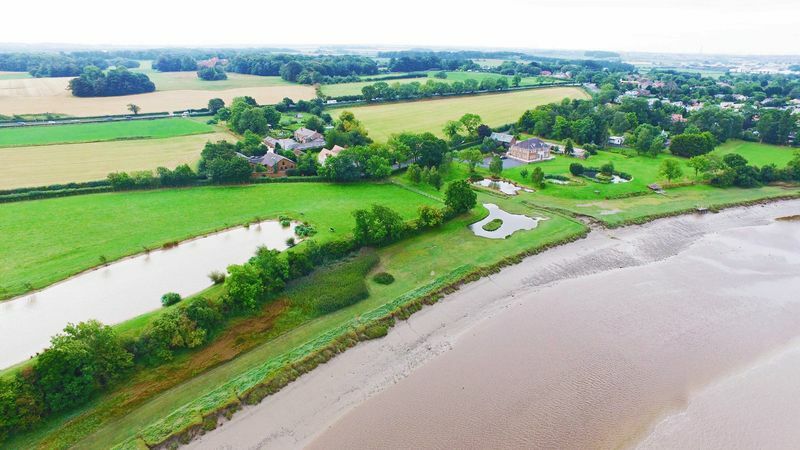 16/0961 (Fylde Council). 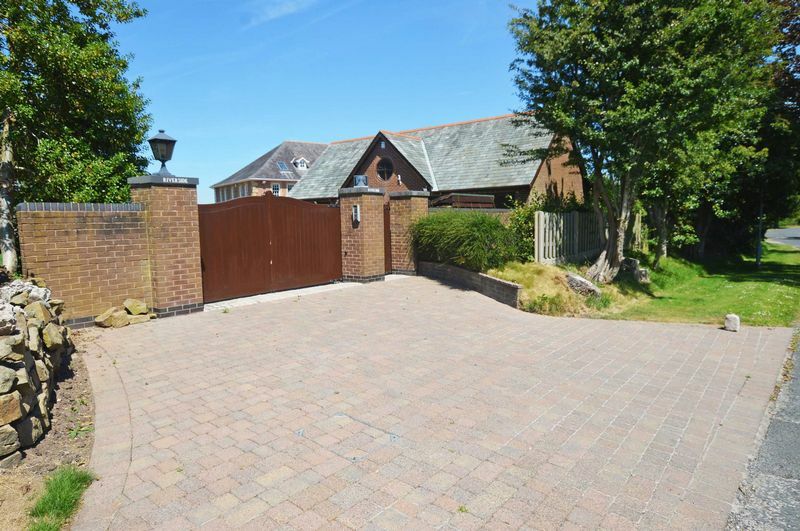 Current plans are passed for a detached, four-bedroom, three reception room with large open plan living dining kitchen family home. 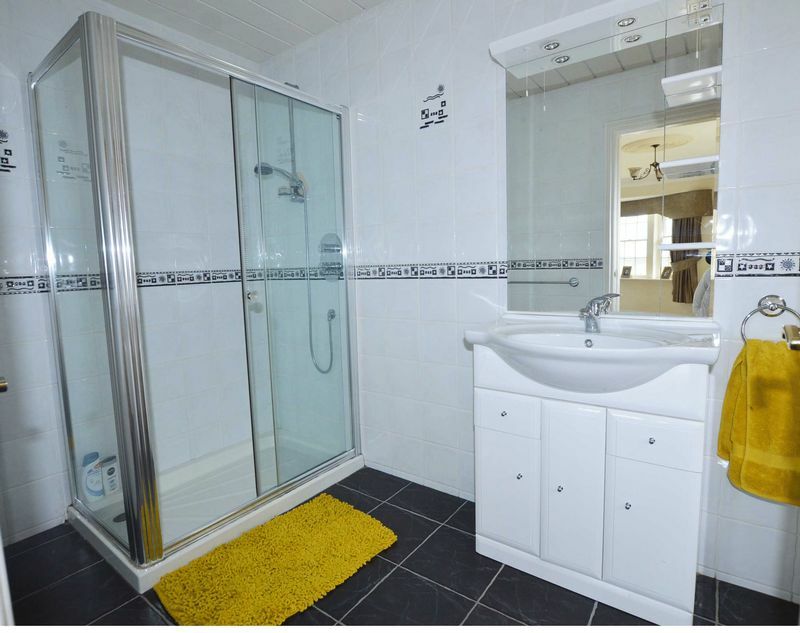 SERVICES: All mains services are connected with the exception of drains, gas central heating and double glazing installed. 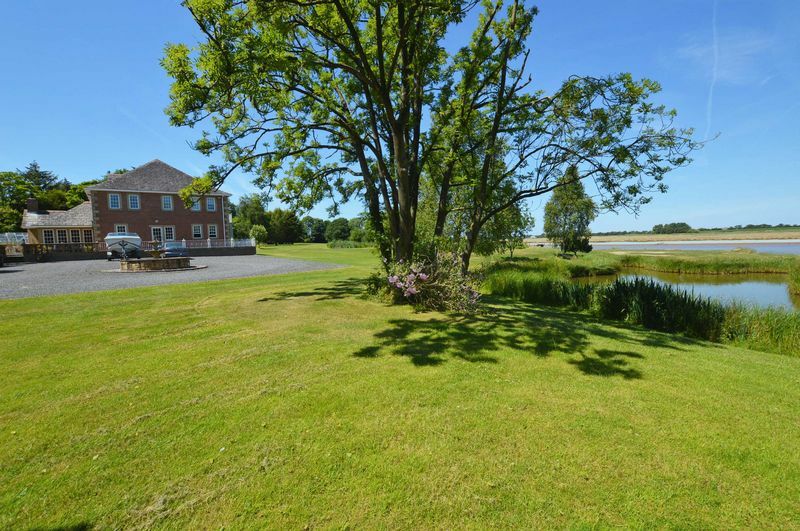 COUNCIL TAX: The property is listed as Council Tax Band G (Fylde Borough Council). 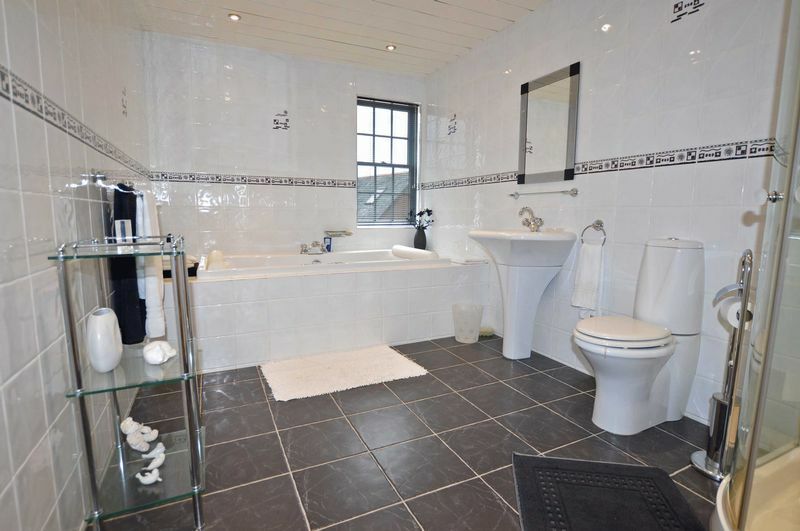 VIEWINGS: By telephone appointment through the agents’ office.